Sport launches are planned according to field availability (usually the 3rd Saturday or Sunday of each month). Check the calendar for details. Our field is capable of supporting engines up to G impulse, depending on weather, crops, and rocket. We use a 12 V relay launch system and can supply Micromaxx, 1/8", 3/16", and 1/4" rods. 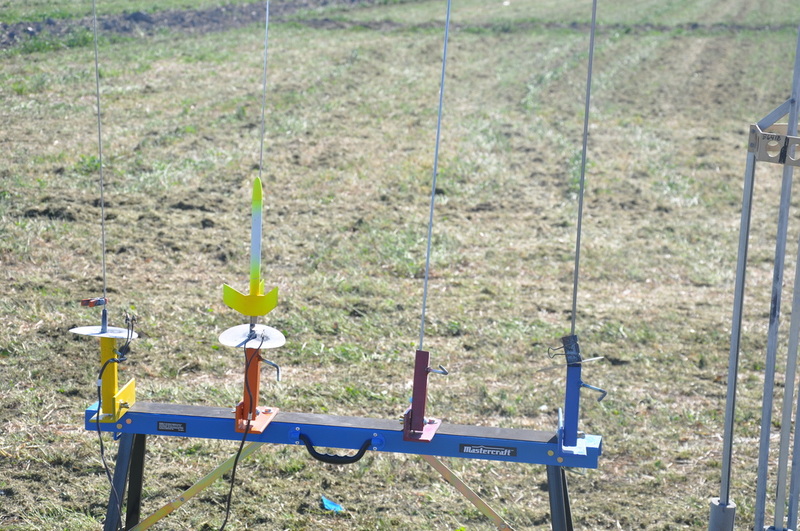 A standard rail system and a tower launcher are also available with prior notice.